This is a guest post from a Deacon…the best kind. Joshua (his twitter) wants to join the little conversation about Hauerwas and Anabaptism we’ve been having. 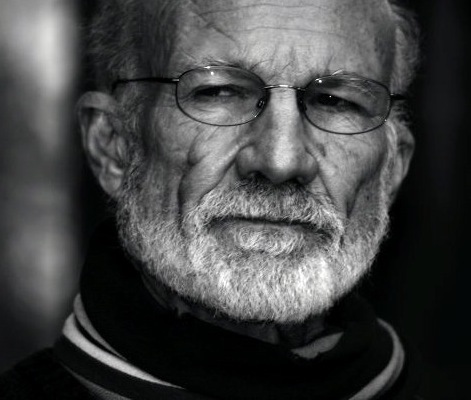 There is little doubt that Duke professor, and champion of a type of Anabaptism, Stanley Hauerwas has become the mouth piece for Anabaptist thinking in North America. This should be clear now that Hauerwas not only has a school of thought, but his own mafia. Some time ago Tony Jones took on the icon and offered an interesting narrative confronting Hauerwasian groupthink. Though this network and Hauerwas himself, are often associated with theologies of non-violence, Jones ironically named this school the “Hauerwas Mafia.” Throughout the narrative Jones rightly identifies the clear fault lines within idealogical Anabaptism. Unfortunately, Hauerwas’ idealism and thus Jones’ charicature are not the full picture of Anabaptism. To the point, not all Anabaptists are minions of Don Stanley. And not all Anabaptists are sectarian or withdrawn from worldly politics. Truth be told I call the Church of Brethren, an Anabaptist tradition, my home. Without giving a history lesson it is enough to say that ours is a form of Christianity that brings together Anabaptism and later forms of Pietism. The synthesis that emerges is a Peace Church tradition that has been culturally, socially, and even politically engaged. Unlike the mafioso caricature of the Hauerwasian type, ours is a form of Anabaptism that has significantly engaged public life to radical effect- from creating what is now known as Heifer International, to developing a nationally recognized disaster ministry with children. This is clearly not a sectarian Anabaptism trying to keep hands clean from the complexities of the world. Contrary to any ideal or singular Anabaptist Vision of Don Stanely and others, wings of the Radical Reformation have continued to champion the alternative politics of the Church and engaged the wider social landscape. As James McClendon challenged the Anabaptist community in the first volume of his systematic theology entitled Ethics: “The moral life of Christians is a social life” (Ethics, 165). To withdraw in hopes of maintaining a pure community is to significantly diminish the character and witness of the Ecclesia Politic, the Kingdom on earth. That said, the reciprocal uncritical acceptance of the world equally betrays the witness of Christ’s community. Jones is not all that far off, nor typically provocative, when he says that “like a jazz musician, followers of Jesus Christ must learn to improvise, and in order to improvise, we must first train ourselves to be keen observers.” Having been raised in this tradition this seems obvious to me. But McClendon is more constructive: Faithful engagement, he says, “requires almost infinite adjustments, distinctions, and gradations. Just as the pastoral ministry to people must respect the variety of their circumstances … so Christian engagement of the powerful practices must respond to their endless variety” (Ethics, 181). Unfortunately, Jones conflates the work of pastoral care with being a “chaplain to society.” Yet, through his transparent struggles and clear questioning if his prayers are supporting a nationalism or witness to Kingdom compassion, he reveals the continued improv of the tradition itself. Using “Don Yoder,” McClendon makes this virtue clear: “Therefore the faithful Christian ‘community will not ask whether to enter or to escape the realm of power’; rather it must ask, ‘What kinds of power are in conformity with the victory of the lamb'” (Ethics, 181). In other words, there is no mafioso clarity within the Anabaptist way of life. Instead we are tacticians or improvisational artists giving concrete witness to another politic within a dominant frame. The shared melody between ideological and this improvisational type of Anabaptism is the critique of a Constantinian cosmology wherein the line between empire and church is barely noticeable. The variations between the two forms are most visible in the ways this critique is embodied. The ideological form considers the difference of the ecclesia the prime form of witness. Not only does the church form believers in an alternative politic, it keeps them distinct from the surrounding culture. In biblical language, this is a “city on a hill” kind of church- above and beyond the society it is to transform. More engaged forms of the tradition however, emphasize the balance of the community’s identity and the individual. In other words, it is not solely the ethic of the community that witnesses to a society, but the active lives of the people formed in the church. Like yeast mixed with the flour (Matt 13:33) these believers bring the politic to life in their daily lives as they interact with their particular communities. This is why other forms of Anabaptism are perched ready to lead the Church into a new Post-Christendom age. These communions are working outside the walls of sectarian forms of the tradition while avoiding the mentality of cultural or political privilege that many mainline traditions are just beginning to recognize the loss of and mourn. Anabaptism need not be isolated within Christianity, nor does it need the mafioso style of Don Stanley. Indeed, Anabaptism has been a varied and rich tradition which has formed radically engaged disciples.